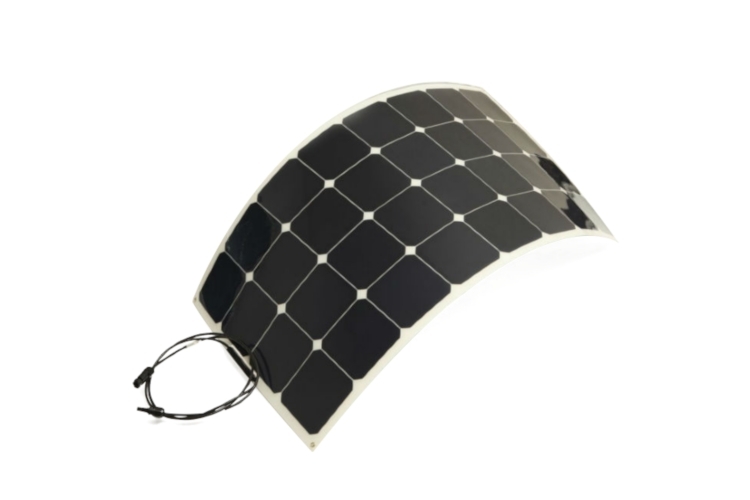 RSP-F series offer flexible solar photovoltaic panels. We offer bespoke panel design and manufacturing service: any size, voltage, requirements can be meet. From SunPower Back contact cells( efficiency above 20% -22%). Adopting transparent PVDF material on surface and high quality TPT back plate, Salt Corrosion and UV resistance, withstands hail, storm and other harsh weather. Pre drilled eyelets in the corner with Stainless grommets, easy installation. Bend rate from 10-90 degree.